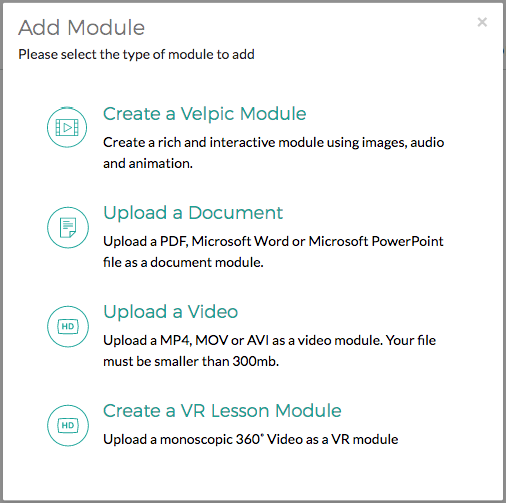 Velpic Modules allow for the creation of rich and interactive lesson content with images audio and animation using the Velpic Module Editor. 1. 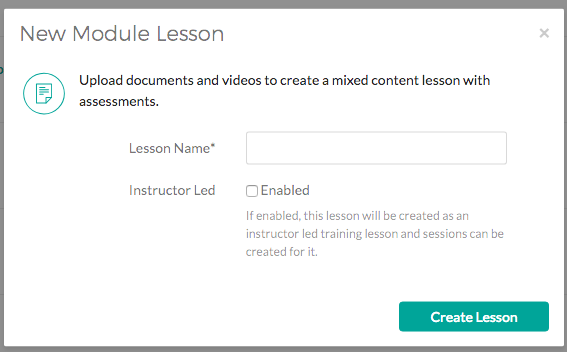 Go to the lessons view and click "Create...". 3. Select Create a Velpic Module. 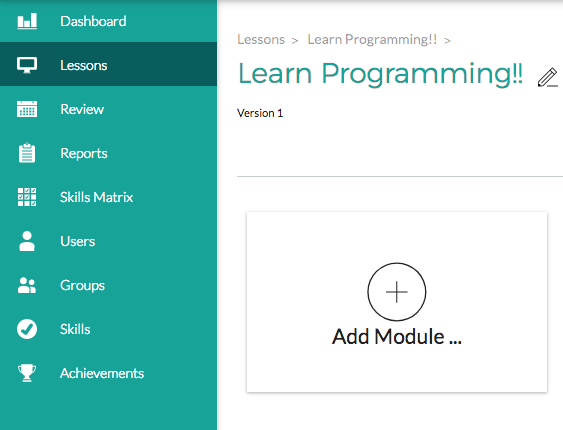 This will be the first module in your new lesson. This will bring you to the Velpic Module Editor. The Velpic Module Editor's layout has 4 main areas. 1. Slide Panel - The Slide panel contains a list of the slides in your Velpic Module. 2. 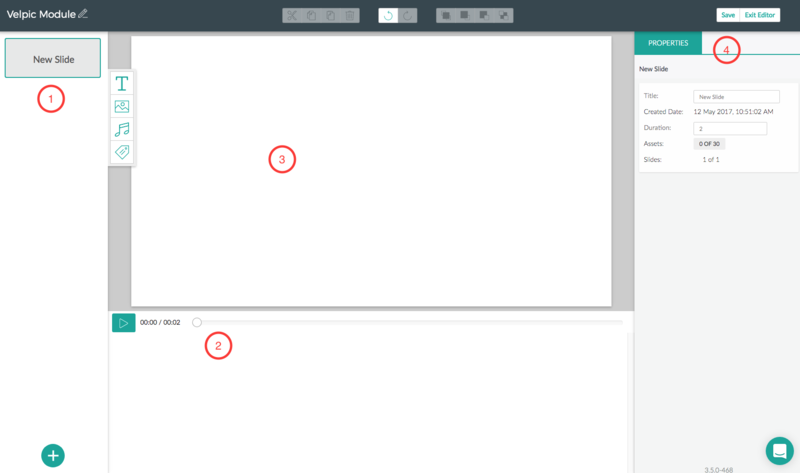 Timeline - The Timeline panel contains the current timeline of the selected slide and the list of assets for the slide. 3. The Work Area - The work area is the common place where most of your editing happens. 4. The Properties Panel - The last area for properties shows contextual information about the object you are currently editing. In the Slide view, it will show information about the Slide.